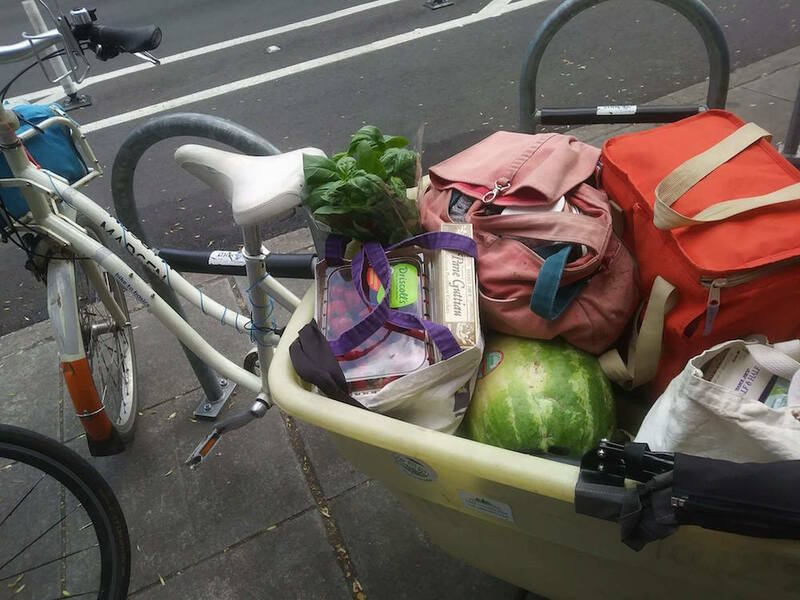 To the uninitiated, buying groceries by bike may sound daunting, but with a little planning, hauling home supplies can become an enjoyable part of the weekly routine. Avoiding parking hassles, working exercise into an already busy day, and earning extra dessert calories are just a few of the perks of biking to the market. As a single person, La Riva is able to carry most of what she needs each week in the clip-on bags and basket mounted to her bike. 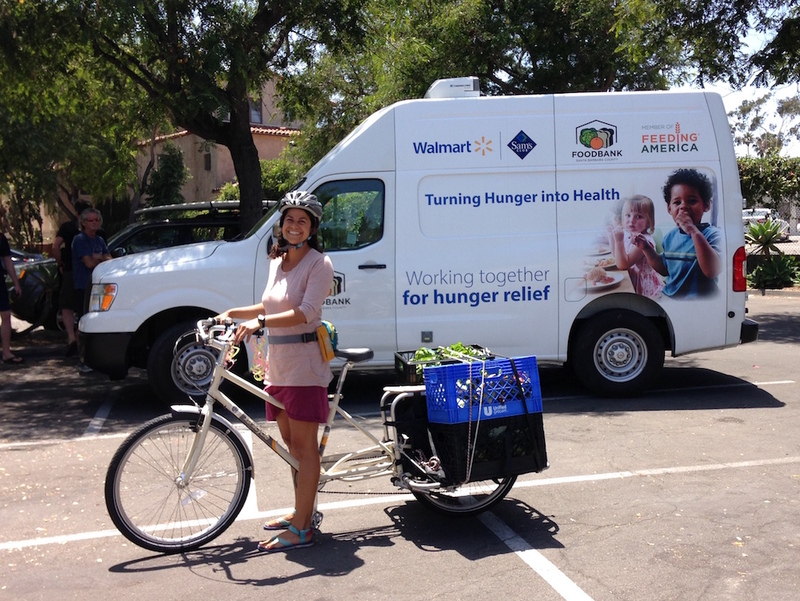 But, with a little planning, even parents with growing children can bike for groceries. Metzger says that shopping by bike allows her to visit many more shops without having to battle rush-hour traffic or negotiate small parking lots. 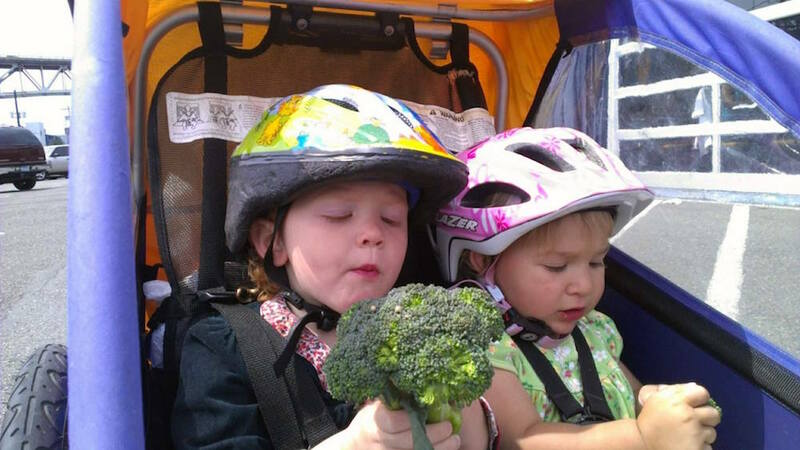 Her children, who often complain about being in the car, enjoy traveling by bike. She calls it a “much more pleasant experience” for all of them. Grocery shopping by cargo bike just takes a little planning. • A front basket works great for fragile produce. • A rear rack with panniers creates low, even weight distribution. • Bring extra reusable bags. • Use bungee cords to secure loads. • Buy cold things last, and pack them together.